Red Dead Redemption 2’s October 26 release date is changing the industry’s fall release schedule for the first time in years. Call of Duty: Black Ops 4 represents the most notable example. The fourth Black Ops launches on October 12, one month earlier than the November window the series has owned for years. Even Assassin’s Creed is shifting dates. Odyssey hits October 5, despite Ubisoft’s globetrotting franchise typically launching in late October or early November. Does Red Dead have two fo the world’s biggest game series running scared? It seems so. According to Take-Two’s CEO, Strauss Zelnick, the publisher is sweating bullets about the new entry, too. Zelnick continues, revealing how the publisher both measures and manages success. “We don’t believe in our success until we deliver it. We never claim victory until it’s occurred. We have very powerful, smart, capable competitors bringing great products to market and we need to win – that means we have to work harder than the next guy. 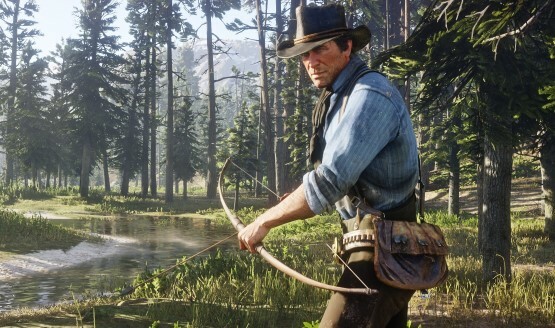 With the year’s most anticipated release merely months away, Red Dead’s appearance at E3 2018 wasn’t just hoped for among fans, it was expected. Yet, the game didn’t feature in any of the conferences. Additionally, fresh details or a new trailer also failed to coincide with the biggest week in gaming. In fact, Take-Two’s E3 presence overall was remarkably limited, largely due to a lack of game releases on the horizon. Zelnick addresses this, too, divulging the publisher’s stance on E3. Maybe this will change in years to come, once the publisher has more to show. Surely, a Borderlands 3 or new BioShock entry will someday warrant Take-Two once again feeding into the E3 hype. Unfortunately, the wait for such reveals is probably a little longer than most would like to admit. At least the wait for Red Dead Redemption 2 nears its end. The prequel hits store shelves on October 26.